Like a broken record, Aung San Suu Kyi, State Counsellor of Myanmar has come under fire for her recent commentary, or rather lack thereof, on the persecution of the Rohingya Muslims in the Rakhine state of Myanmar. After over a month of intensifying conflict in the Rakhine state, Suu Kyi delivered a state speech mid-September responding to the allegations. She spoke of condemning “human rights violations and unlawful violence” and holding those who commit such acts up to the law. As per usual, her speech was eloquent and well-poised. If one had been distant from the politics of Myanmar, it would seem strong and poignant. However, it was missing one crucial word that listeners outside of Myanmar were looking for: the Rohingya. Suu Kyi’s speech thus became feeble and indistinct from any of her previous speeches regarding the Rakhine state matter. She used fillers, addressing the Rakhine state as a whole, or using “Muslims” to indirectly refer to the Rohingya, who are predominantly Muslim. The term Rohingya itself is controversial in Burmese politics and thus Suu Kyi refusing to state the term goes beyond covering up the identities of the Rohingya but also reinforces the notion that the government is not ready to change their perspective on the issue. World leaders and human rights groups were appalled and voiced their dismay, including a statement by the UN that, despite how it is framed by Suu Kyi’s government, the persecution of the Rohingya is a “textbook example of ethnic cleansing”. There was disappointment that Suu Kyi did not overcome her strongest criticism and at last become a voice for the people that she claims to represent. But is it really Suu Kyi’s place to take on that role? Suu Kyi’s position is not that of a leader of a regular Western Democracy, nor is she necessarily in the place of an ignorant dictator. Suu Kyi’s situation is incredibly complex and to analyze the plight of the Rohingya and Suu Kyi’s relationship to the situation without adamantly placing it into context is both futile and superficial. The Rohingya are an ethnic minority living predominantly in the Rakhine region of Myanmar, though the vast majority are Muslim, there is also a Hindu minority within the Rohingya. They are denied Burmese citizenship as per the 1984 citizenship law. The reason for this occurrence is largely due to the remnants of British Colonial rule in which mass migration occurred within India, Bangladesh, and Myanmar (classified as an Indian province at the time). After independence, the native Buddhist population saw these migrants as illegal and gradually the escalated tension led to the ultimate 1984 law in which the Rohingya were not recognized as a legal minority in Myanmar and could not attain citizenship. Thus, despite a sizeable number of Rohingya have inhabited the region for hundreds of years, they are seen as illegal immigrants originating from Bangladesh. The oppression and abuse of the Rohingya is a recurring and historical issue, though the most recent events have been particularly jarring. In August, the Rakhine Commission announced its results on how to better accommodate minorities (with an emphasis on the Rohingya) into Myanmar. What followed was a mesh of events that escalated the situation to unintelligible levels. There were reports that a militant group, the Arakan Rohingya Salvation Army (ARSA), carried out attacks on Burmese government offices. The Burmese government and military then began intense crackdowns across Rohingya villages in the Rakhine state. Deemed an anti-terrorist “clearance operation”, it really became an inhumane campaign on the Rohingya loitered with inconceivable human rights abuses on men, women, and children. 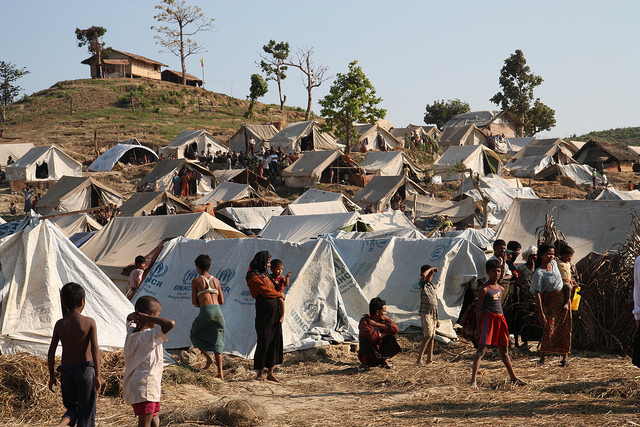 To make matters worse, Myanmar has blocked all UN humanitarian aid to the region. This forced a massive migration of the Rohingya into neighboring Bangladesh, which, in the span of a few weeks, received over 400,000 refugees. 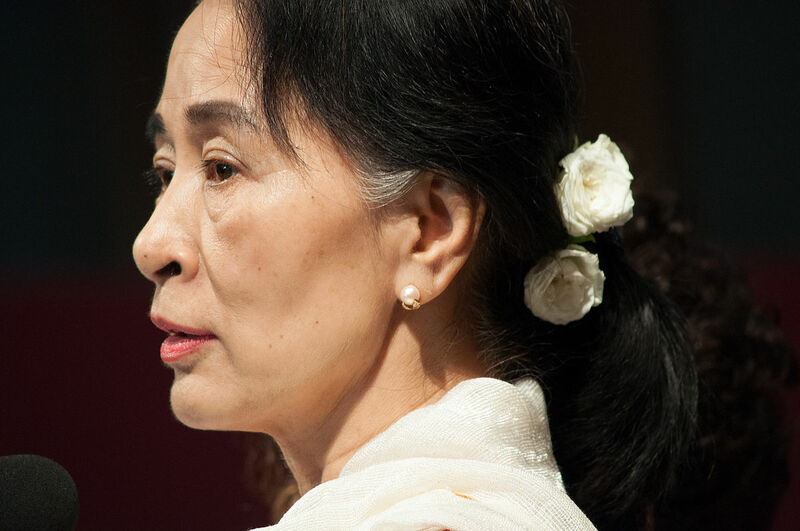 What is Aung San Suu Kyi’s role in the conflict? In 2015, a historic moment occurred in Myanmar, when Suu Kyi’s party, the National League for Democracy, had won the openly-contested government elections. In 2016, Suu Kyi became the de-facto leader of Myanmar. Having previously spent fifteen years of her life under house arrest, Suu Kyi persevered as she was the voice of reason and democracy in a nation which has suffered long years of oppression and difficulty. She is revered in Myanmar and upon her appointment, had been welcomed with more than open arms by Western democracies. For someone who has spent much of her life promoting peace and democratic values, why is she then unable to at least speak out on the Rohingya issue? Let alone mention them by name. That is dually due to the politics of Myanmar and Aung San Suu Kyi’s goals as a leader of a nation in transition. Most importantly it is the intricate control that the Burmese military still has on the government. This by far is the greatest hindrance to progress for Suu Kyi. In the Burmese government, 25% of the seats are directly appointed by the military, thus ensuring there is always sufficient representation of the military’s interests. Furthermore, the military has a right to veto constitutional changes and, in addition to the typical Department of Defense, the military also has a stronghold on important departments such as border affairs and home affairs. It is important to note that this military is the very same one that had Suu Kyi under house arrest for fifteen years. 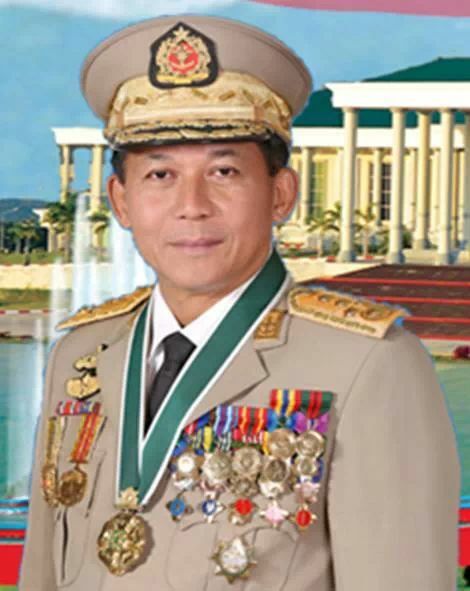 Furthermore, unlike Western Democracies, Suu Kyi is not the commander in chief, nor is she the President of Myanmar, Htin Kyaw, rather, that position belongs to the military, specifically Senior General Min Aung Hlaing. The key to understanding why Aung San Suu Kyi even came to be in power is that the military effectively still has an immense grip on government. In 2008, the military regime changed the constitution (after an incredibly favourable referendum) in which they created a fourth branch of government: the military. The military was thus protected, having autonomous control over its budget and its departments. Thus, the military is protected, with a change in constitution a nearly impossible feat. Due to this, having Suu Kyi as the leader (who at the time of her election was incredibly popular amongst the public) no longer bothers the military since nor she or her party can meddle in their affairs. Consequently, Suu Kyi effectively has no control over the military and security affairs of Burma and it would be naive to assume so. Even if Suu Kyi wanted an end to brutalities committed by the military, it would be an extremely difficult and time-consuming feat, guaranteed to garner no support from the government or the public. Due to this, it is simply not amongst Suu Kyi’s priorities. To read more about the constitutional constraints found in Myanmar, refer to this article. Thus it brings the next point into mind: the escalation of this conflict ultimately also has to with Suu Kyi’s priorities. Suu Kyi is a politician through and through. The heroic attitude put onto Suu Kyi has undoubtedly been in her favour but does absolutely nothing to understand her behaviour. Suu Kyi’s concern is wholeheartedly with her nation and with her people – the Buddhist majority of Myanmar. Any issue beyond is a peripheral matter, and the Rohingya fit into this matter. Suu Kyi’s goals are to bring democratic values to a nation that has seldom lived up to the ideals of democracy. Quite literally, up until two years ago, it was heavily questioned whether Myanmar could ever be considered a democracy. A transition from a military dictatorship into a democratic nation does not simply take as little as two years. This is exacerbated by the incredibly complex power dynamic in Myanmar. Suu Kyi’s life goals and focus have been on reforming the political nature of Myanmar and, by extension, the social nature, in which democratic values may eventually exist. Simply put, Myanmar is not there yet and Suu Kyi is acutely aware. 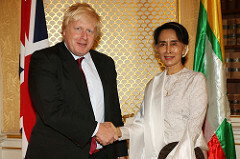 Therefore, it may be time to stop seeing Suu Kyi as an ally in the solution for the Rohingya. She has made it clear in her actions and speeches that she is unwavering on this matter, at least for now, in this period of transition. For the world to truly start trying to save the lives and welfare of the Rohingya, there needs to be an end to the reliance that Suu Kyi will be part of that effort. Rather, let us engage with the facts. There is indeed a crisis likened to ethnic cleansing occurring, with thousands of people fleeing out of despair. Surely, more can be done to aid the plight of these people than continuously condemning the saint-turned-human that is Aung San Suu Kyi.